HeaderHeight: the height of the header in pixels. HeaderFont: the font of the header text. LeftHeader: the text in the left part of the header. MiddleHeader: the text in the middle of the header. RightHeader: the text in the right part of the header. ReverseHeaderOnEvenPages: swaps the places of the left and right header texts on even pages. FooterHeight: the height of the footer in pixels. FooterFont: the font of the footer text. LeftFooter: the text in the left part of the footer. MiddleFooter: the text in the middle of the footer. RightFooter: the text in the right part of the footer. ReverseFooterOnEvenPages: swaps the places of the left and right footer texts on even pages. Logo: allows you to add logo to the header or footer. Please note that the header/footer text should contain "[Logo]" in its text in order the logo to appear. The header and footer have some predefined special strings which can be set to any part of it and/or to make combinations of them. 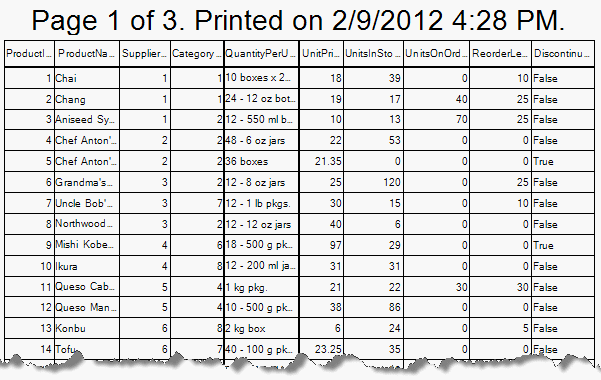 [Page #] – Prints the number of the current page. [Total Pages] – Prints the total number of pages. [Date Printed] – Prints the date when the printing was started. [Time Printed] – Prints the time when the printing was started. [User Name] – Prints the user-name associated with the current thread (the current Windows login)). 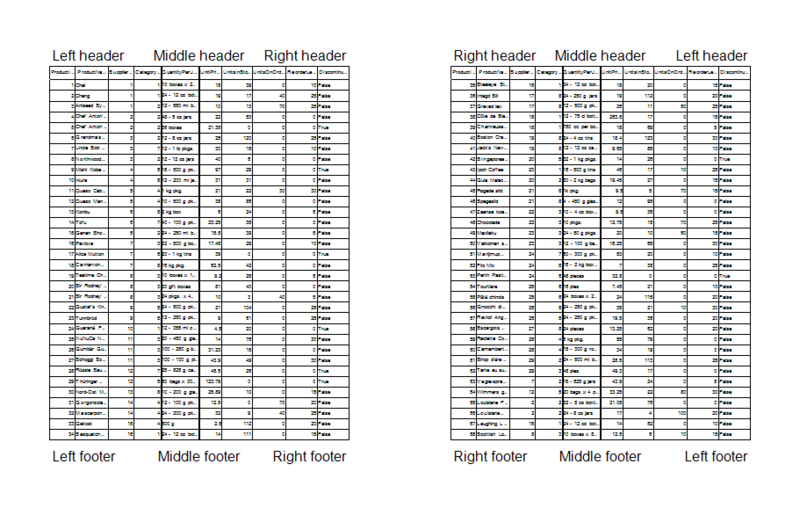 document.MiddleHeader = "Page [Page #] of [Total Pages]. Printed on [Date Printed] [Time Printed]."